Our Infant Program includes children from 6 weeks to 12 months of age. The child’s first three years are very critical for the development of the brain and language skills. Our goals of the Infant Program are to meet your child’s individual needs while providing a developmentally age appropriate and stimulating environment. Our infant program provides a warm, nurturing atmosphere in which caregivers cuddle, rock, hold, play, and sing with your baby. Your child will feel safe in a nurturing environment that will encourage him/her to explore, to bond, with others and develop a sense of trust and security. Our infant curriculum provides playful, stimulating activities designed for individual children to develop their sense of trust and increase language, cognitive, physical, social, and emotional development. Teachers talk, cuddle, giggle or sing a song while they change a diaper to assist children to discover the association between their body and the environment. An easy, flexible, daily schedule is very critical because it allows for the relaxed routines and individualized eating and sleeping opportunities. Each child is assigned a primary caregiver who does the majority of the care for the child, and is able to bond with both infants and parents. You primary caregiver will prepare daily reports so you will know what your child’s day was like. 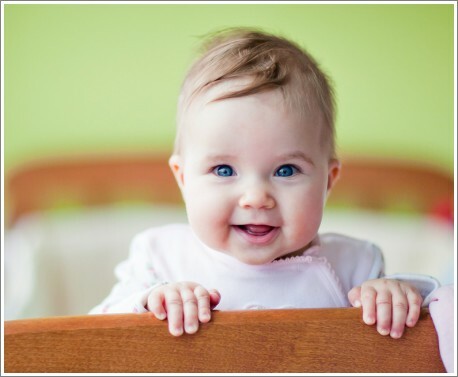 Searching for “Infant Child Care Hickory NC”? Catawba Ridge Child Development Center provides excellent child care in Hickory, NC.